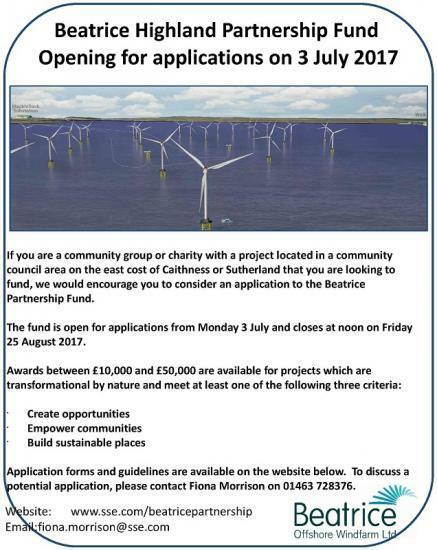 Community Groups can now apply for funds from the Beatrice Highland Partnership fund. Grants are available from £10,000 to £50,000. Applications can come from any groups that are on the east coast of Caithness or Sutherland.